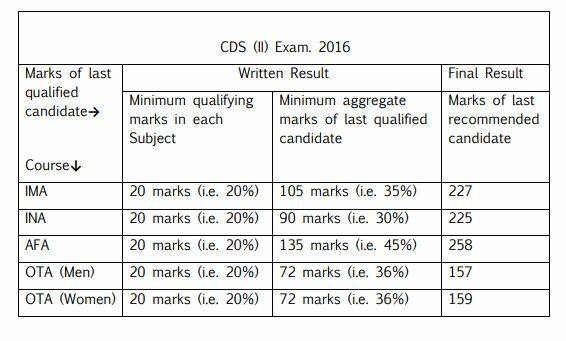 In this article we are going to discuss the CDS 2 2018 cut off marks and the previous CDS exam cut off from year 2018, 2017, 2016 and 2015. 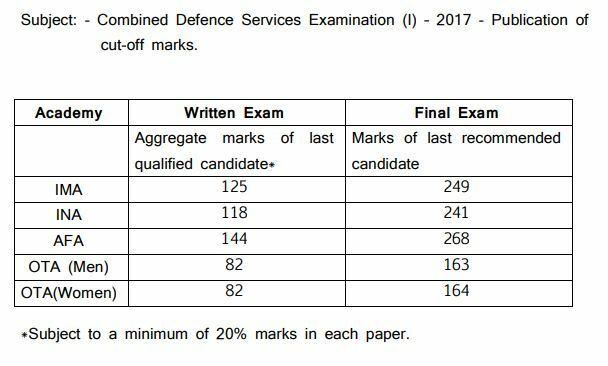 There won’t much fluctuation in the CDS cut off so candidates much check the previous cut off marks before attempting the CDS question paper, this will give you a clear idea as to how much one must score to clear the CDS Exam. 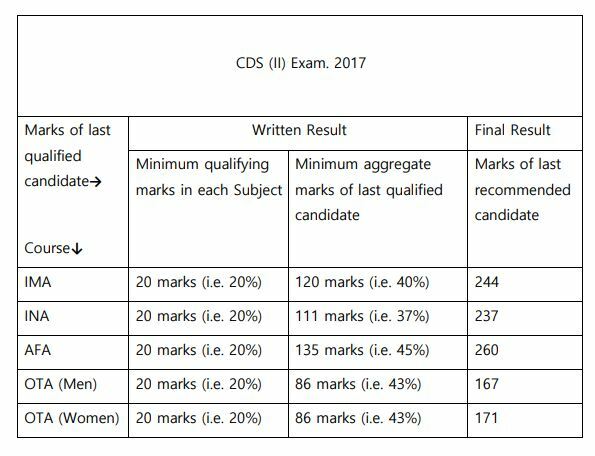 CDS 2 2018 official cut off marks will be published only after the final results of CDS 2 2018, so that is going to take a lot of time, let us discuss the CDS 2 2018 expected cut off marks based on today’s question papers. 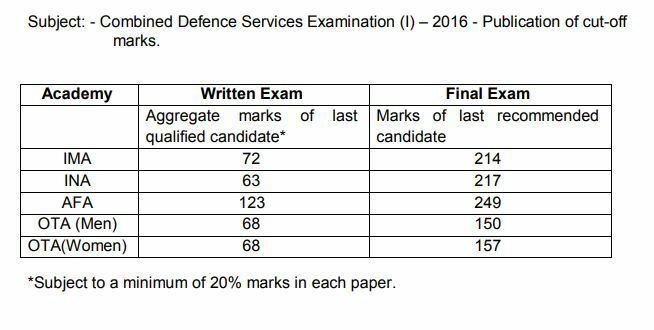 UPSC conducted the Combined Defence Service exam twice every year CDS 2 2018 exam was of 2nd phase which was held on 18th Nov 2018, many eligible and interested defence aspirants have appeared for CDS 2 2018 written exam. Now they all are waiting for CDS 2 2018 result and final cut off marks. If you also looking for the CDS 2 2018 answer keys, cut off marks and merit list of CDS 2 exam 2018, then you must check the information which is mentioned below. As per the notice announced that the result of CDS 2 2018 will be declared in Feb/March 2019 and it will be shown on an official website of UPSC. You can check it on the online on SSBCrack.com too, UPSC will not send any type of letter to invite that you are selected or not, so you can check the official website daily and keep visiting SSBCrack.